Getting fit and exercising are not easy, and going at it alone requires an extra-ordinary amount of willpower to keep it up. Fortunately we live in the age of mobile technology, and clichéd as it might be to say it there really is an app for everything — and fitness is no exception. But there are so many apps out there, which ones should you go for? 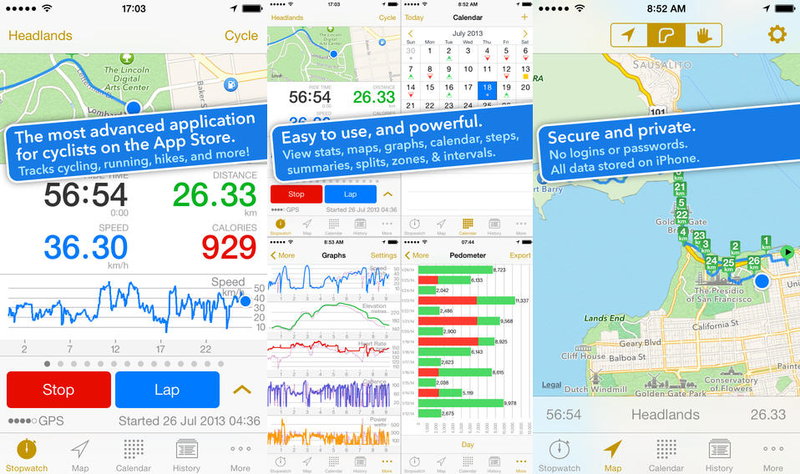 If you’re an iPhone user you’re in luck, because we’ve found the best apps for the different types of exercise that you might be thinking about doing. 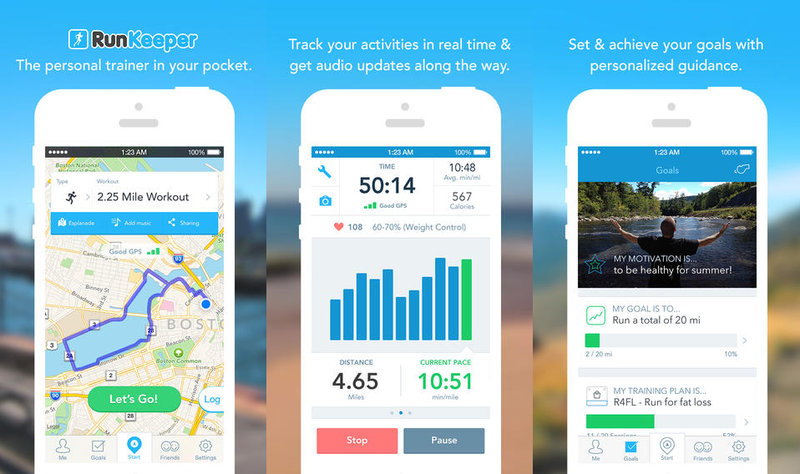 Runkeeper is a great all round app that covers the bases of most exercise regimes, inside the gym and out. Whether you’re off running, walking, cycling, or just inputting data you’ve gleamed from the machines in the gym, Runkeeper is a great way to actually keep an eye on your exercise history. If you’re out and about the phone’s built-in “trainer” will give you updates periodically (every five minutes or half mile) giving you a run down of your stats so far, things like average speed and total time. You’re also able to control your phone’s music from within the app and monitor your heartrate if you’re wearing a sensor. Most importantly, though, is that Runkeeper is easy to use. 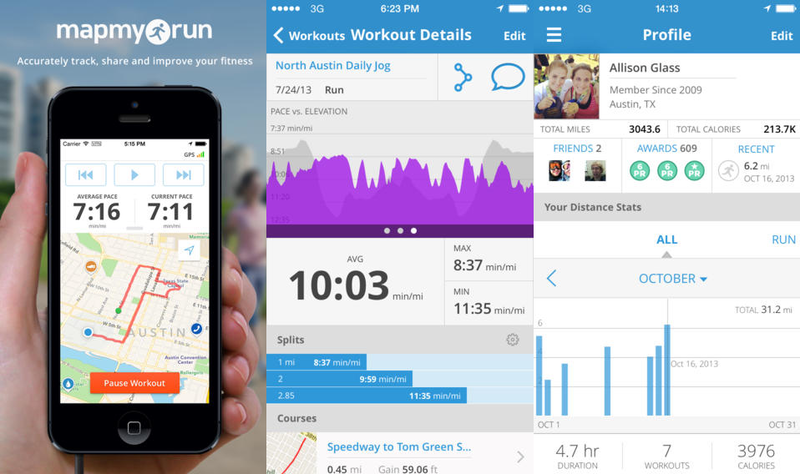 In terms of features Run with Map My Run isn’t all that dissimilar from Runkeeper, but it’s got a specific focus on running rather than being the jack-of-all-trades. The app includes features like mid-run updates, GPS tracking, and heart-rate synchronisation, but it also includes a host of features to help motivate you and plan your run. 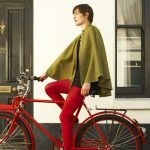 The app can be used to plan out your route before hand, and using GPS tracking it can actually help you navigate while you’re out so you don’t have to waste time memorising the route. If you’re not one for planning your own route Map My Run is capable of finding routes for you, many of which have leaderboards to help bring a bit of competition to your run. Doing well? Then you just got an achievement. It’s the little things that keep you motivated, and the folks behind the app are clearly well aware of that. Unlike running, GPS tracking isn’t really an option for swimmers. Neither is whatever the swimming version of a pedometer because, you know, water and electronics don’t exactly mix. 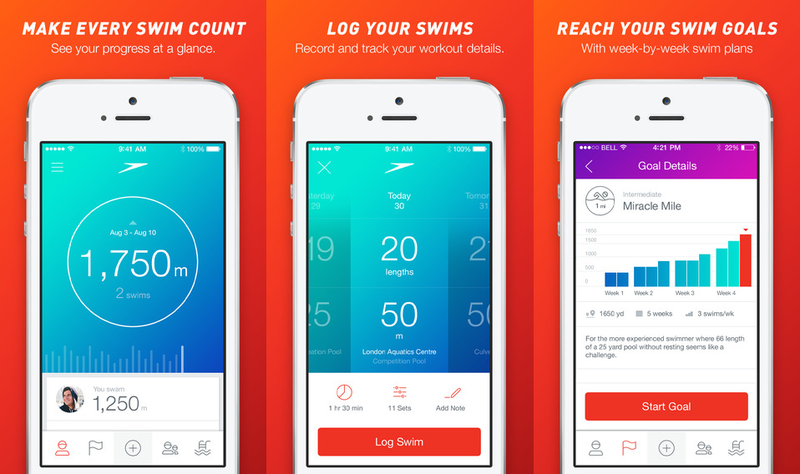 Speedo Fit knows this, and is tailored for you to log your swims manually with minimal fuss and effort. From times, strokes, distance, and even a few notes for later reference. But that’s not all, any decent app has a way of motivating you to work harder and this one includes virtual swimming challenges where you can actually compete against other people. Think you could have managed to swim away from Alcatraz? There’s a challenge for that. Plus it can be used to find local swimming pools, their respective timetables, and includes a number of how-to videos that will let you learn new techniques and improve what you’re already doing. 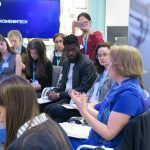 Like many others it also allow you to compare each individual work-out against what you’ve recorded previously and other people all over the world. The difference is that it compares you while you’re actually cycling, and lets you know if you;re behind or ahead. What’s the point of comparison if you only find out after you’ve finished? At least this way you can compensate to try and get yourself a nice comfortable victory. 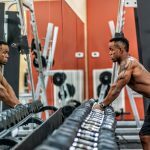 Strength training is a little different than most exercises because it doesn’t have that much motion involved, and while a lot of people try to focus more on cardio it’s still a great way to exercise if you do it properly. GymBook is a way for you to record all your weight reps after each session so that you can keep up with how much you’re improving. 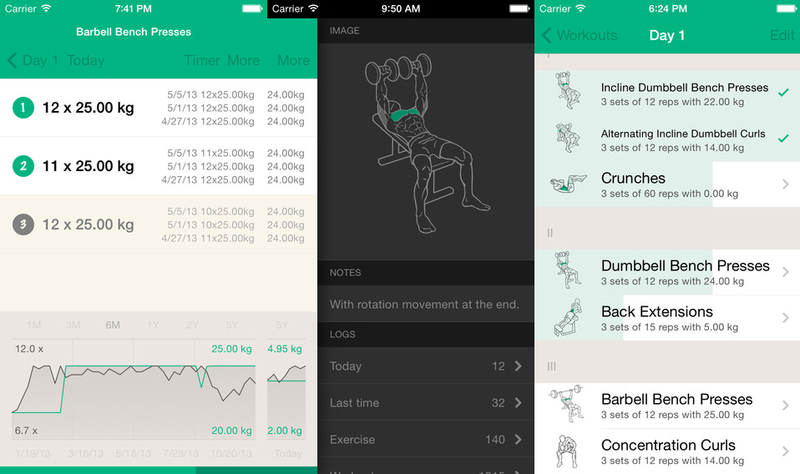 You can use a lot of the preloaded exercises from the app, or you can sort out your own. The logs are kept in the app for easy access so that you can find out how well, or how badly, you’ve been doing, and can be exported as an XML or CSV file so that you can keep a copy on your computer, or in the cloud for quick access across all of your devices. 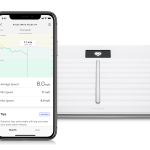 If that’s not enough you can also track your body weight and BMI within the app via an interactive line graph. Motivation is the key factor for any fitness regime, without it you just start winding down and stop altogether. 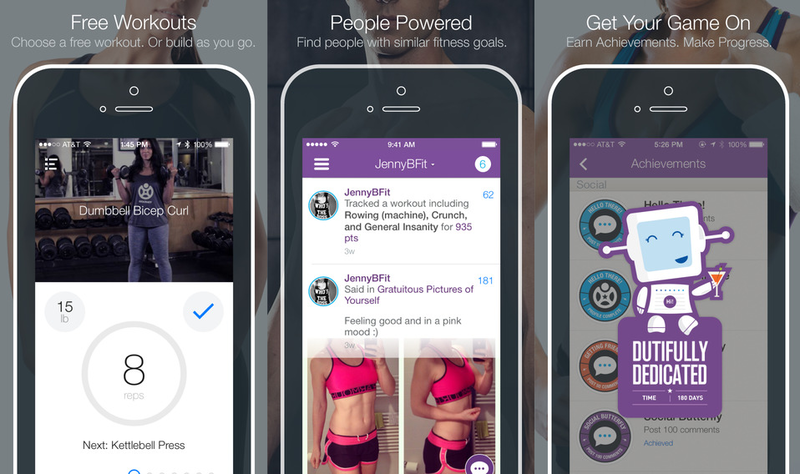 Fitocracy is a way of making your workout more interesting by pitting you against the wider community. The app tracks your work outs which can be used to earn points and unlock achievements so you have always have a set of real reachable goals. It’s a bit like levelling up in a video game, except it’s happening to you in real time. You can either set your own workout, or you can use ones set out by real fitness coaches, and most importantly you will be competing against the wider community, because everyone knows winning is important.